This entry was posted on Tuesday, January 9th, 2018 at 6:07 AM	and tagged with digital, film, meme and posted in photography. You can follow any responses to this entry through the RSS 2.0 feed. Interesting–loved it. 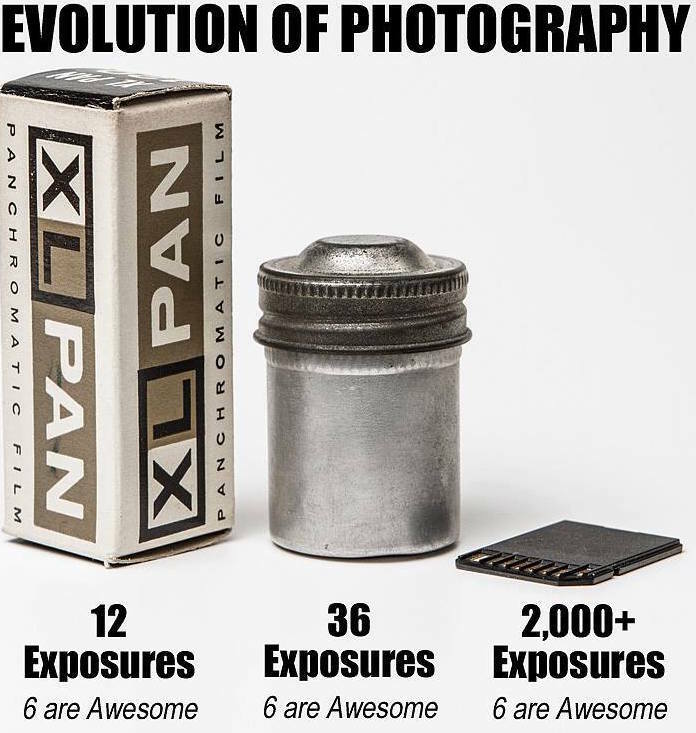 One good thing– no longer paying high processing fees to determine only six exposures are awesome. P.S. Interesting that this info comes from a person, who until 6-8 months ago didn’t know what a camera was. LOL, P.P.S. Pleased that he did discover his phone’s camera because his photo postings are normally interesting.